View More In Sweet Basil Leaf - Page 4. 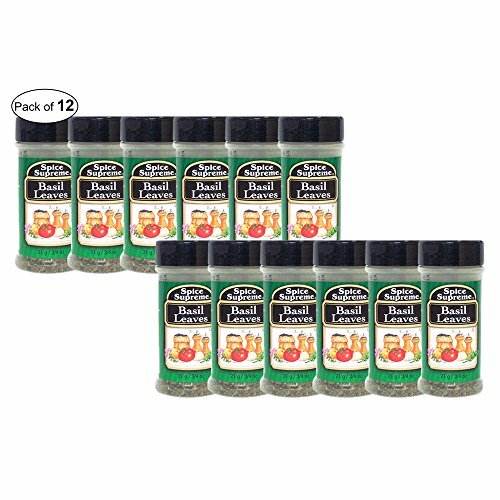 Use SPICE SUPREME blend to season meat, chicken, fish, vegetables or salad. Sprinkle on steak while grilling or at the table for the perfect finishing touch. Or add to baked, roasted or mashed potatoes for a delicious side that won't require any other toppings. Each bottle has a flip top lid with a built in shaker. Weight: 0.49 kg.Dimensions: 5 x 5 x 12.5 cm. If you have any questions about this product by Spice Supreme ®, contact us by completing and submitting the form below. If you are looking for a specif part number, please include it with your message.